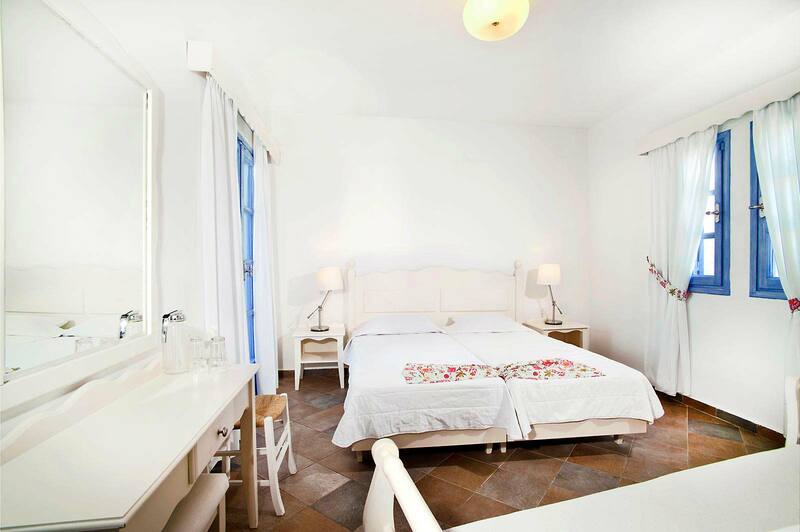 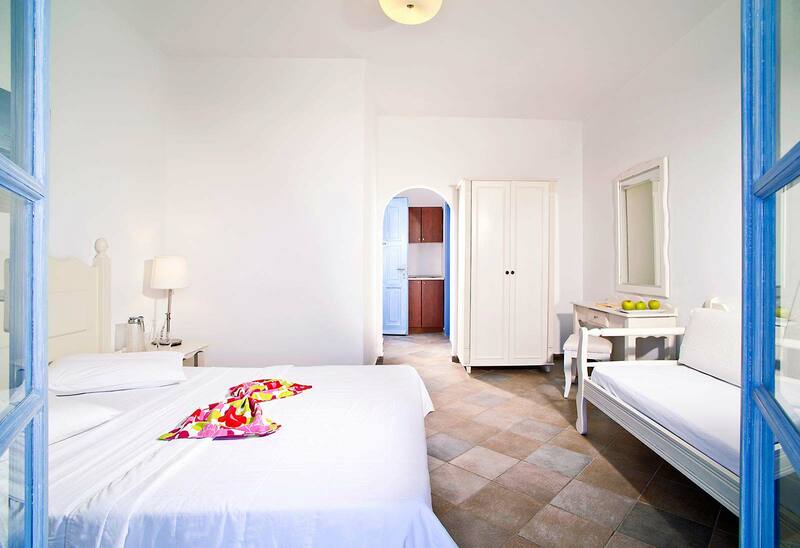 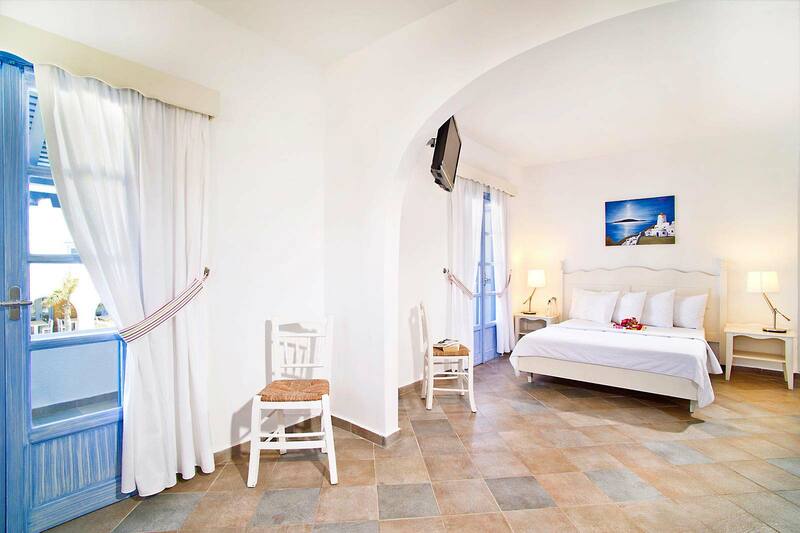 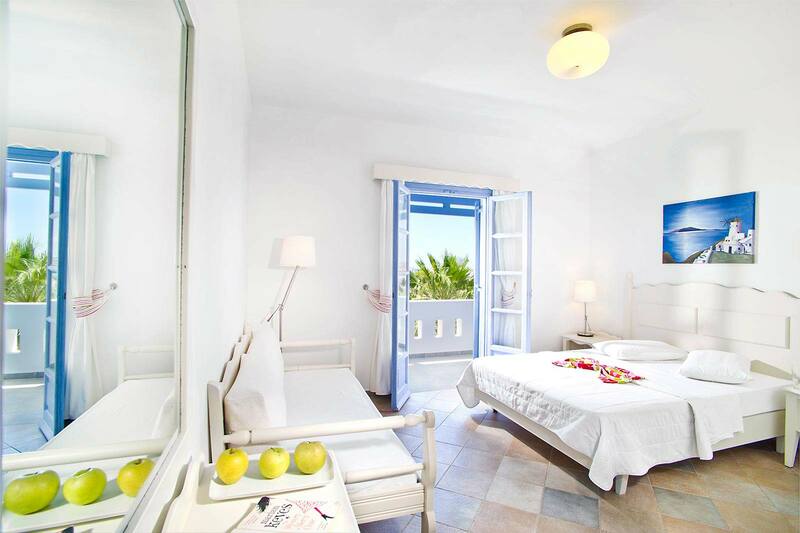 The family rooms for 3 people of Koufonisia Hotel include modern amenities. 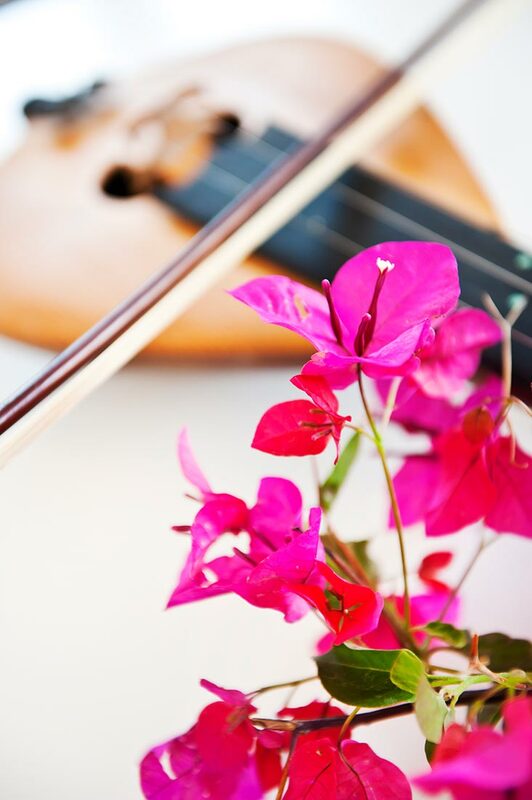 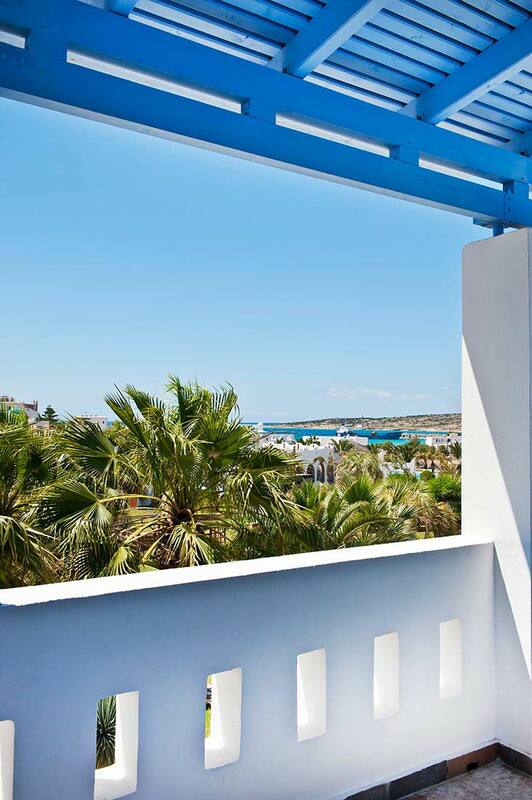 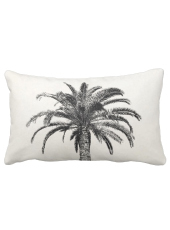 These and the enchanting view from your balcony are all you need for a truly restful sleep. 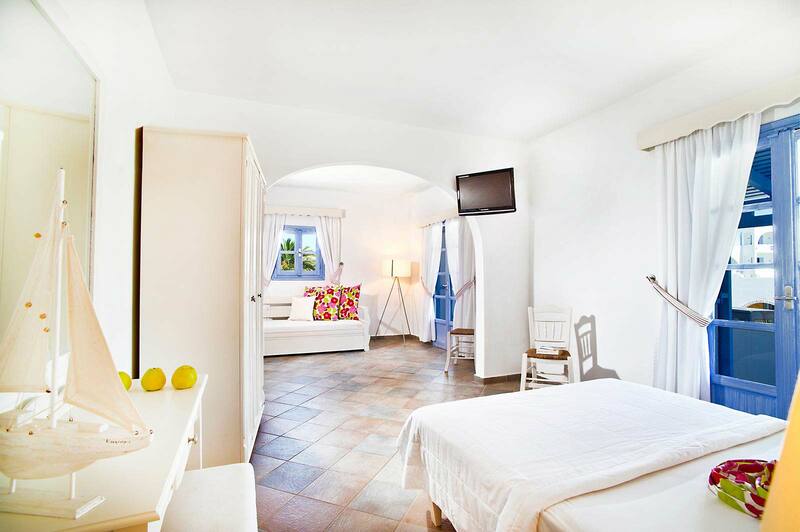 The family rooms for 3 people have a double bed and a comfortable sofa bed that can accommodate one more person.